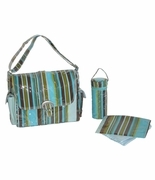 This bundle of joy 3 piece diaper set includes a baby changing pad, and pacifier clip. Beautiful Marrakesh pattern in a lightweight cotton canvas will fit the mood of a joyous new mom. Choice of baby blue or soft beige with white. Inside and outside zipper pocket, supported bottom, leather trim on handles. Lined, open tote for easy access to baby's essentials. Additional sewn in clip for baby toy or keys. Comfortable padded shoulder straps. 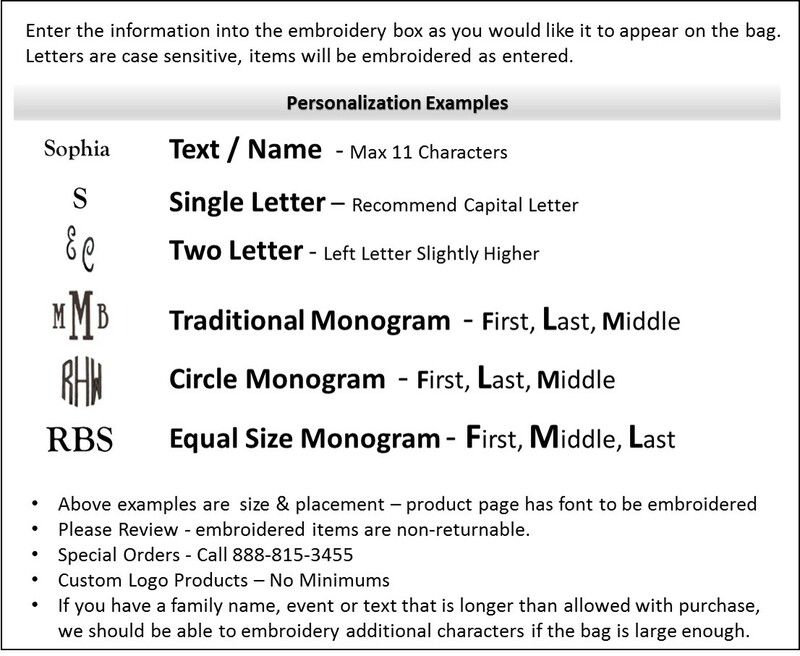 Add a monogram for a classic look. Traditional tote bag style and pattern, can be used for mom's personal tote after baby is grown. Monogram diaper bag measures 18"W x 14"H x 6" across bottom.